I recently became the proud owner of a Wii U, and while it is unexpectedly fun to roam the Miiverse and draw semi-relevant doodles in various game communities, it should not be overlooked that the Wii U is also a gaming console. 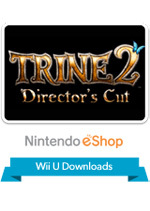 The Wii U’s eShop had a strong line of downloadable titles at its launch, and Trine 2: Director’s Cut is among the strongest. Two of the new things that the Wii U brings to the Nintendo party are HD graphics and a Gamepad with a large touchscreen smack dab in the middle of it. In Trine 2’s case, the Wii U’s Gamepad is less of a secondary screen and more of a different primary screen – the Gamepad’s screen mirrors the display on the TV, plus a few HUD items are added to facilitate touchscreen play, which, unless you’re pulling a lever, are not very intrusive. Whichever screen you choose to play on, the game looks gorgeous. 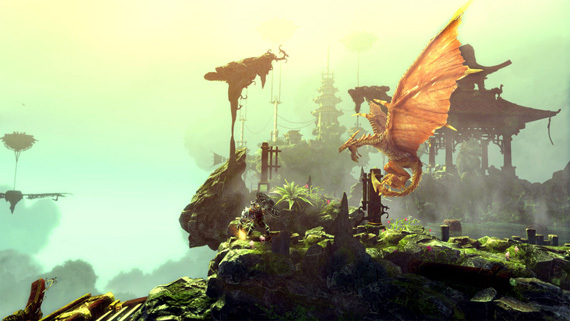 Trine 2 plays with color, shadow, and composition the same way that a veteran jazz man plays with his saxophone – with variety and expertise. The graphics are lush and borderline absurdly colorful, but conversely, the people at Frozenbyte aren’t afraid to dial down the saturation when it could help the atmosphere. I’m glad that the graphics don’t get in the way of gameplay, which is a common problem with 2D platformers that look this great. You may get distracted by how beautiful everything is, but you won’t get confused about which parts of the intricate scenery you can interact with. Every once in a while, usually at the end of the level, you are treated to an even better looking wide fixed shot with a beam of light emanating from some far-off vantage point. These parts look and feel like a painting that you can run a tiny wizard through; they’re gratuitous, but it’s nice to see that set pieces in videogames can be tranquil, and don’t necessarily have to include an exploding helicopter or a building falling over. The object to which the title refers, the Trine, is a magical object that somewhat resembles a hanging plant holder that a trio of heroes blindly follow, as if it were some sort of mute, floating Lassie leading them to an unknown destination. The real story is concealed, only to be given to those who seek it; poems hidden in a treasure chest in each level reveal a tale that goes beyond the “three unlikely allies follow a glowing object through different environments while occasionally overcoming obstacles and goblin attacks” depicted on the surface. This structure is essentially an extension of the idea that playing a game better will offer a better or more complete ending, except that you don’t have to wait until the game comes to an end to claim the reward for your hard work. 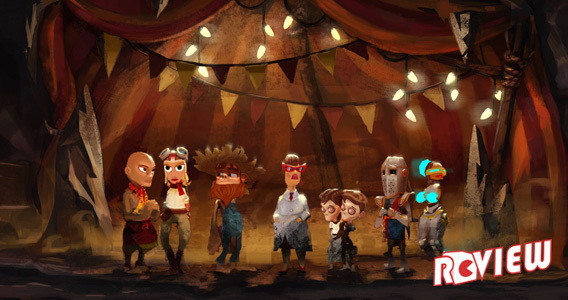 The trio of uniquely skilled characters appear on screen one at a time, tagging one another out at the press of a button – though there is also a multiplayer mode available in which players control one character each. 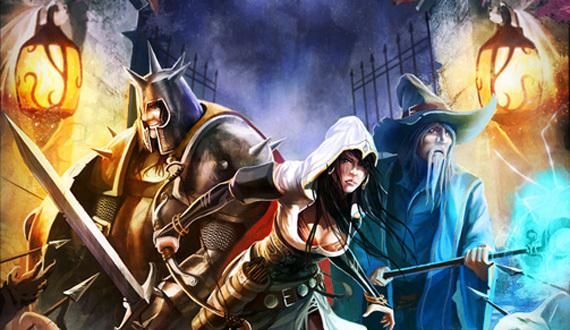 In this trio, the wizard can drag certain objects and enemies around, and can also summon platforms by drawing shapes on the screen, and these powers are fun and by far the most useful of the trio, though short of using his pseudo-force powers to drag goblins into spikes or flames (the kind of cruel fun that gave me serious They Bleed Pixels flashbacks), he has no way of defending himself against the occasional enemy ambush. Luckily, the music changes whenever an enemy is about to appear, and it is at this time – and usually ONLY at this time – that you switch to the knight, equip his hammer, and let him clear the screen with that good ol’ “HULK SMASH!” strength. 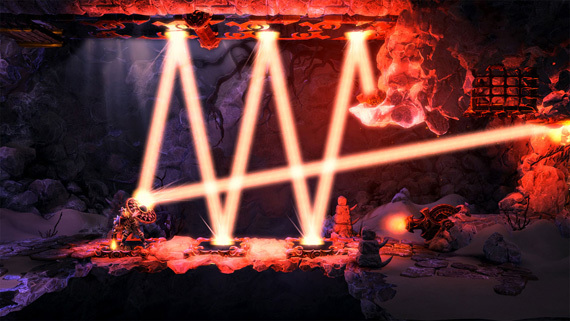 The third member of the group, the thief, has a grappling hook and bow at her disposal, allowing for fast access to far-off platforms and the ability to pick off distant enemies – though, if the battle is not too hectic, it is way more fun to use the wizard’s magic to bring one of these sniping goblins to you, bring out the knight, and introduce that creature to the world of entirely one-sided melee combat. 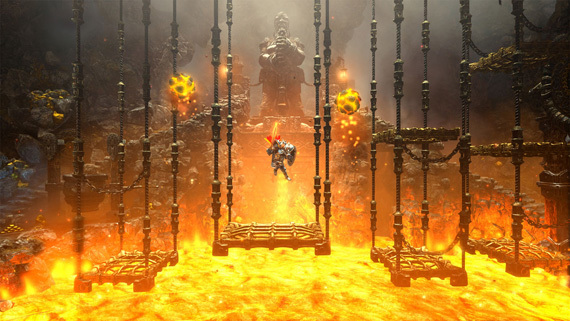 There are multiple ways to approach some of the puzzles in Trine 2; sometimes, high or far away platforms can just as readily be reached by a thief’s grappling hook or a wizard’s stack of magical boxes. Losing one character will not necessarily bring your progress to a screeching halt, but it will definitely require you to think on your feet until you reach the next checkpoint and they respawn. This freedom is simultaneously one of my most and least favorite parts of Trine 2. As the puzzles got gradually harder, I started to wonder if I was legitimately solving some of them the way the creators designed them, since my solution for many of them was “spam the wizard’s boxes and planks and then run like hell before the structure comes undone”, which seems like the physics-based puzzle platformer equivalent of button mashing your way through a fight (speaking of which, you will also be button mashing your way through a lot of fights in Trine 2). 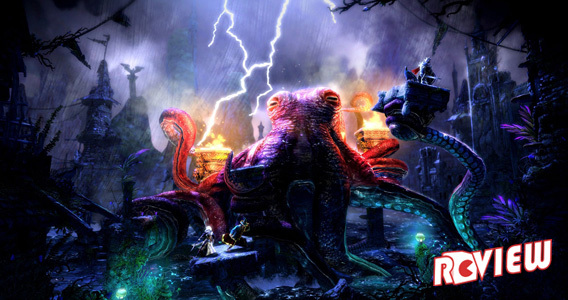 There are a plethora of ways to play Trine 2. You can completely ignore the Gamepad’s fancy new touchscreen, or you can turn off your TV and play the game using only the touchscreen, d-pad and left trigger button. If you choose the latter, though, find a comfortable spot in which to play; even if you went 12 rounds with Kid Icarus: Uprising, and your left wrist is in fighting form, trying to support the Gamepad with it will take it down before the starting bell finishes echoing. That being said, however, the touchscreen controls work rather well. If you choose to play it on a TV, even for no other reason than to finally bask in a Nintendo console’s HD graphics, the traditional Wii Remote and Nunchuk are an equally competent control option; the only problem I have with this setup is that it feels really weird to call the Wii Remote and Nunchuk a “traditional” control option. Has that much time passed? Anyway, it is also possible to play the game using the Wii’s Classic Controller, the Wii U’s Pro Controller, or the buttons and sticks on the Gamepad, but these pointer-less options were put in merely as a formality; controlling the wizard’s powers with the right analog stick is, for the lack of a better word, terrible. The controls do get a bit cluttered as the game progresses. For example, the wizard gains the ability to summon planks later in the game, an ability activated by drawing a straight line on the screen. I’ve lost count of the number of times I meant to move an object with some wizard magic, only to miss the object and accidentally summon one of these planks, which can be varying degrees of problematic. In addition, the only way to rotate these planks (or the tubes involved with the game’s plumbing puzzles) is to press them into other parts of the environment like a cat rubbing its neck against a table post, using the point at which the object is grabbed as a pivot. While this approach is admirably realistic (well, as realistic as telekinesis can be), it’s a slow process that gets old fast. In fact, most of the issues I have with Trine 2 are based on its physics. Mid-air control is floaty, and many of the game’s platforms won’t hesitate to go completely limp on you, or at the very least, wobble around unpredictably. To top it off, the portals in this game act nothing like those other portals we all know and love; characters and boxes will pass from one to the other, but they always emerge at a fixed velocity. Alright, maybe it’s absurd of me to insist that all portals act like the most famous ones. 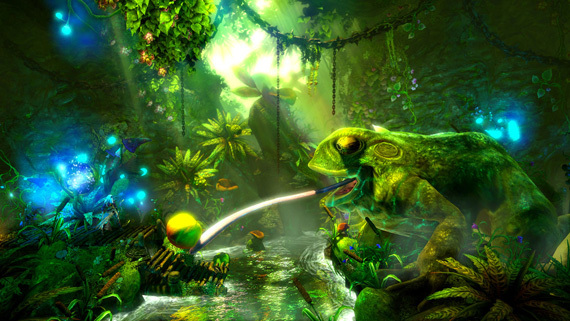 I’m just trying to say that some aspects of Trine 2’s gameplay take a lot of getting used to. I hate to so flippantly dismiss the merit of downloadable games or the power of Nintendo hardware by saying something like “Trine 2 looks amazing for something downloaded to a Nintendo console”, but admittedly, that was the thought circling my head throughout a majority of this game. 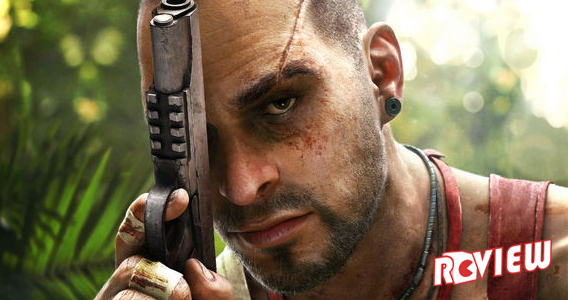 Granted, at $20, it is the most expensive download-only title the eShop currently has to offer, but that twenty dollars buys you an eight hour long main story with many hidden collectible items and essentially six difficulty settings, bonus levels added for this Director’s Cut edition, plus the multiplayer mode. 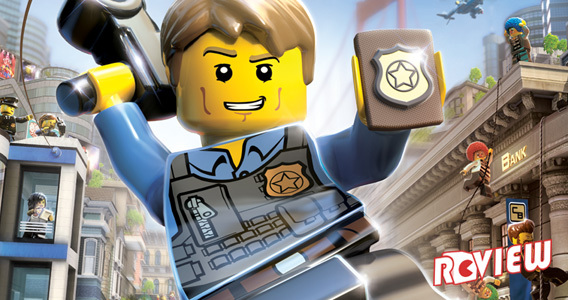 It is worth every penny, plus it can be played entirely on the Wii U’s Gamepad. 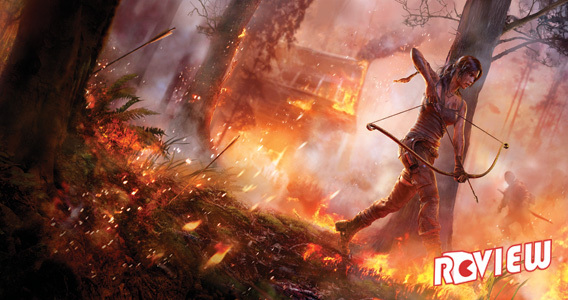 Whether you’re sitting in front of a TV or in front of a fireplace, Trine 2 is a fantastic experience and a solid launch title for Nintendo’s newest console. Great review! Mine should go up over at 4colorrebellion soon. One comment: Once you use the wizard to grab/levitate an object, you can rotate it with the left analog stick.